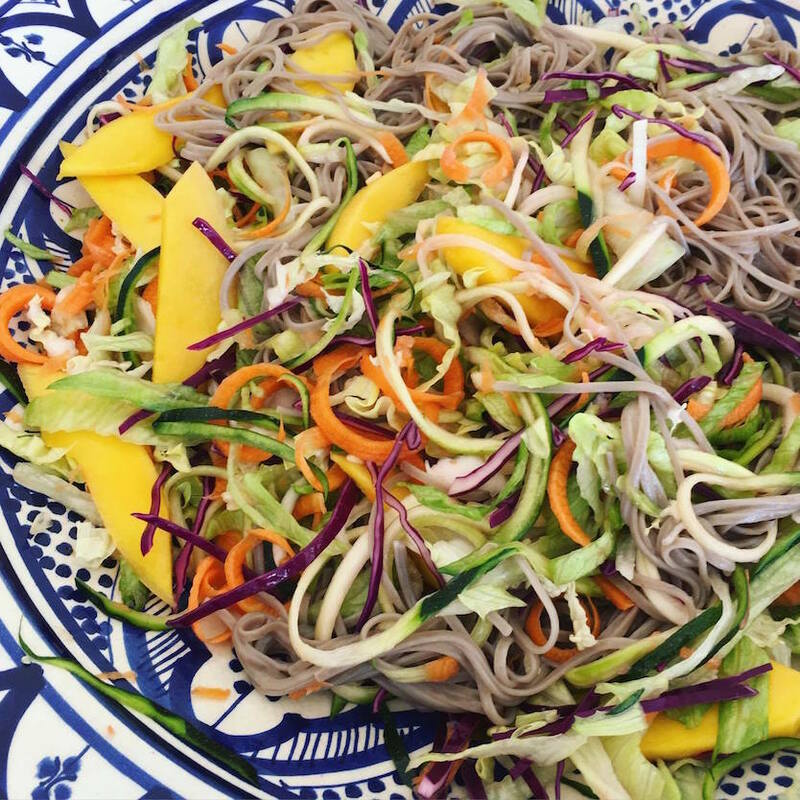 Yesterday I made a gluten free noodle salad for lunch. It was super crunchy and full of goodness. We had it on it’s own but you can also serve it with fish or chicken. First prepare all your veggies for the salad and toss them into a big bowl. Then bring a big pot with water to boil and cook the noodles according to the packet. Use a fork to separate the noodles while cooking. Meanwhile prepare the dressing by mixing all the ingredients together. When the noodles are done drain and rinse them under cold water for 10-15 seconds. Then add the noodles and dressing to the salad and turn everything together using to forks.